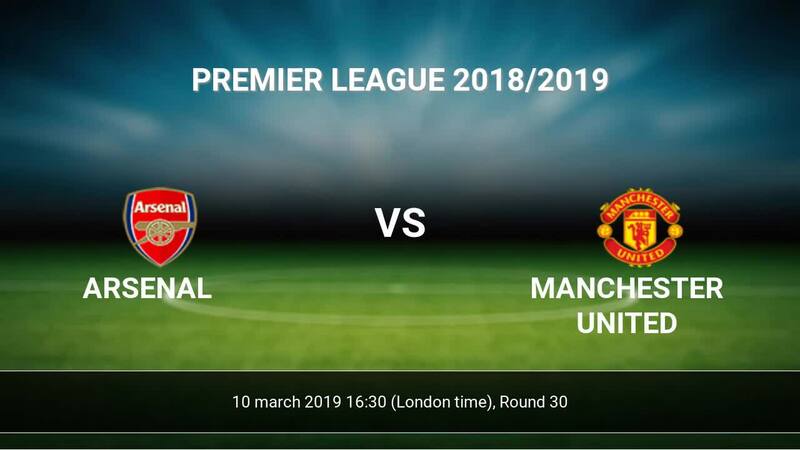 The match Arsenal-Manchester United Premier League will start today 16:30. Referee in the match will be Jon Moss. Team Arsenal is at the top place in the table (5 place). Form team looks like this: In the last 5 matches (league + cup) gain 10 points. at home from 14 matches team have not been defeated. The most goals in Premier League for Arsenal scored: Pierre-Emerick Aubameyang 16 goals, Alexandre Lacazette 12 goals, Henrik Mkhitaryan 6 goals. Players with the most assists: Pierre-Emerick Aubameyang 4 assists, Alexandre Lacazette 6 assists, Henrik Mkhitaryan 4 assists. Team Manchester United is at the top place in the table (4 place). Last 5 games (league + cup) finished balance 13 points. 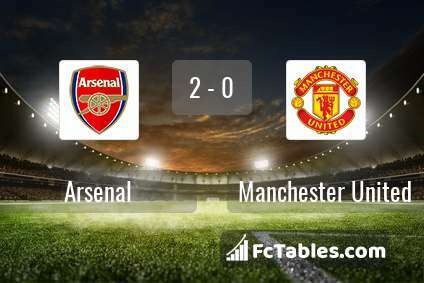 Manchester United has not been defeated from 12 matches. The best players Manchester United in Premier League, who scored the most goals for the club: Romelu Lukaku 12 goals, Paul Pogba 11 goals, Marcus Rashford 9 goals. Most goals developed: , Paul Pogba 9 assists, Marcus Rashford 6 assists. 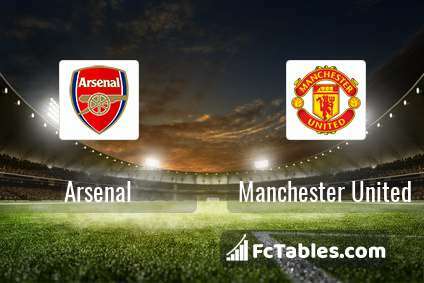 Injured players Manchester United: Alexis Sanchez, Juan Mata, Jesse Lingard, Antonio Valencia, Matteo Darmian. Direct matches: Manchester United won more direct matches. 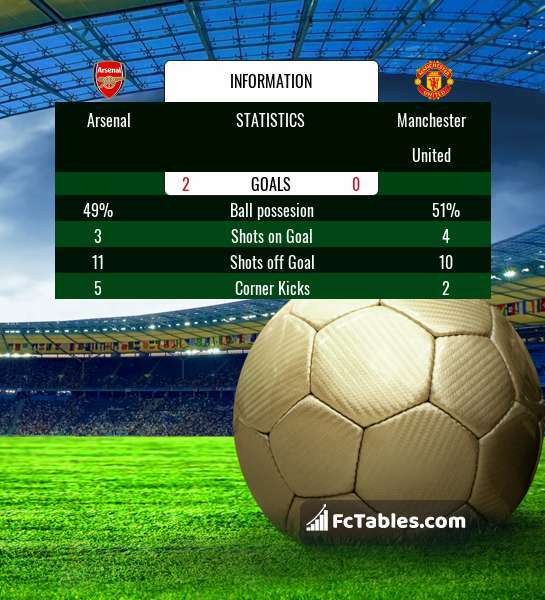 Arsenal won 13 matches , Manchester United won 25 direct matches, was a 14 draws. In 26 matches the sum of the goals both teams was greater than 2.5 (Over 2.5), and 38 matches teams scored more than 1.5 goals (Over 1.5). In 29 matches the both teams scored a least one goal (Both teams to score).